Want to be notified of new releases in jamztang/JTGestureBasedTableViewDemo? 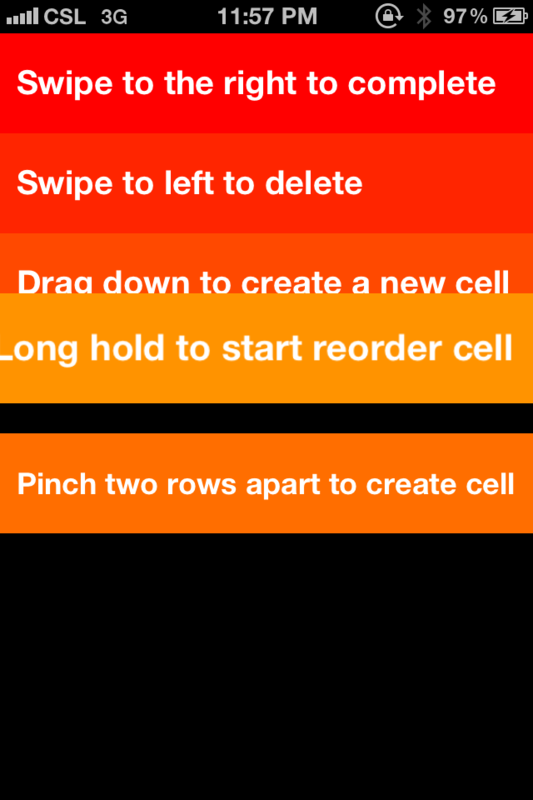 An iOS objective-c library template to recreate the gesture based interaction found from Clear for iPhone app. This project is aimed to be a truely flexible solution, but currently it's still in development stage and missing a few features. 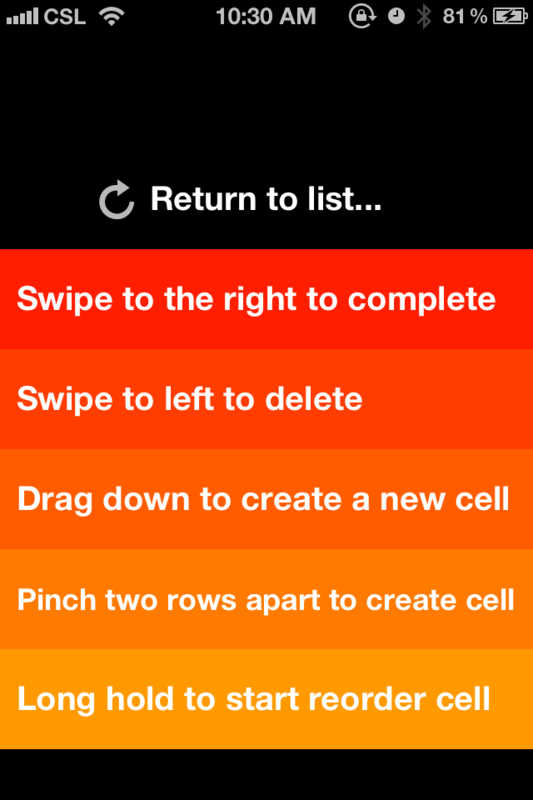 The library now requires iOS 5.0 with ARC, please use -fobjc-arc compiler flag to add support for non-ARC projects. 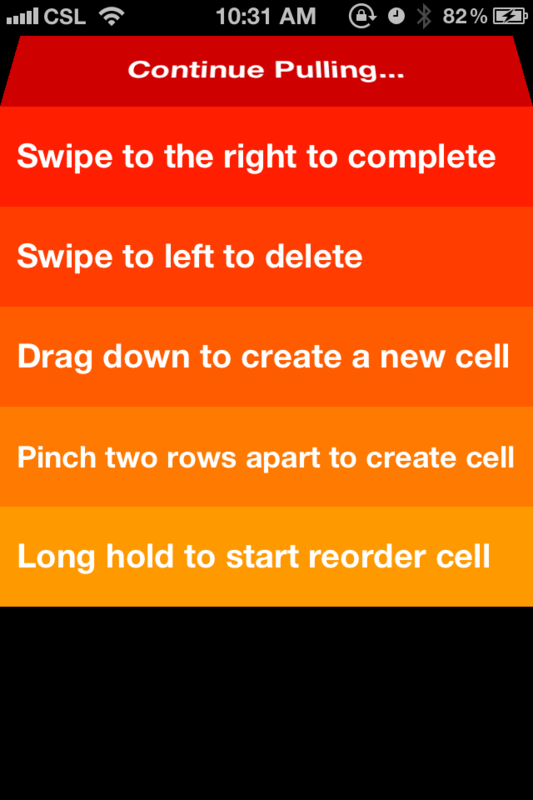 It has been developed under iOS 4.3 and 5.0 devices, sample code has been built using ARC (not quite properly). I am still studying to have a proper refactor on my code for a real ARC adoption. There's currently one known issues related to running on non-arc enviornment (e.g. refs #4). Please use -fobjc-arc per source file complier flag for compiling on non-ARC enviroment. 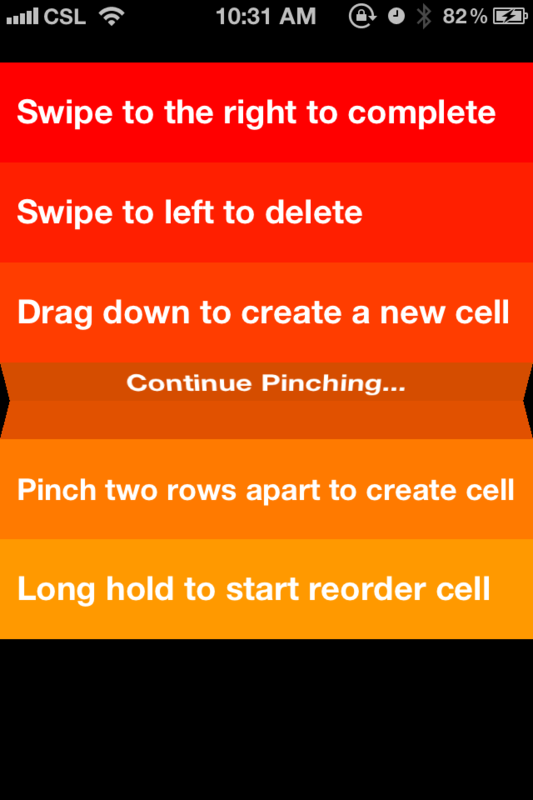 Clear for iPhone app has showed us so much we can do with a buttonless interface, and I am trying to reveal the technique behind the gesture based interaction, hopefully can heavy-lifted all of us whom trying to achieve the same. It only supports few features at the moment. Include all header and implementation files in JTGestureBasedTabeView/ into your project, and also links the QuartzCore framework to your target. 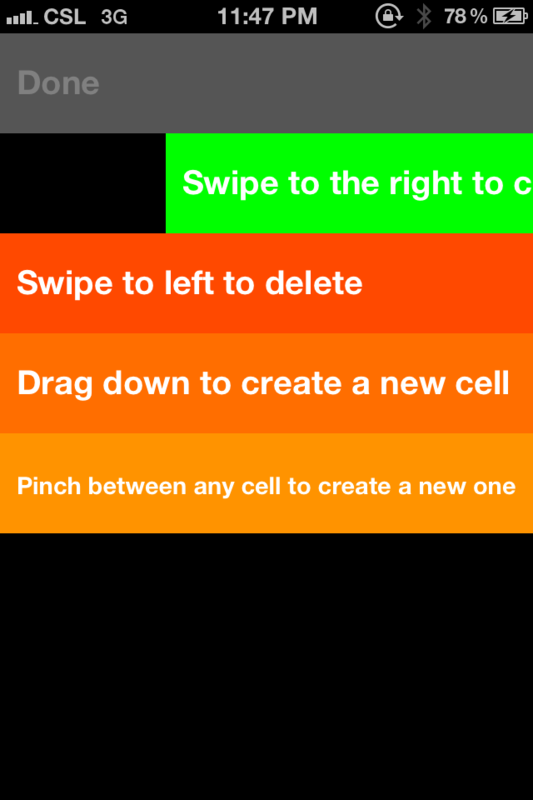 // then enable gesture recognition in one line. You can pick what gestures to be enabled by conforming to the appropriate protocols. Don't forget to look at JTGestureBasedTableViewDemo/ViewController.m for a complete working usage. This project is under MIT License, please feel free to contribute and use it.